Our members help active Australians like you maximise their exercise goals through accurate diet and nutritional information. Our members’ advice is based on scientific evidence to help you reach your personal best – now and for the rest of your life. To locate your nearest Accredited Sports Dietitian, search our database here. 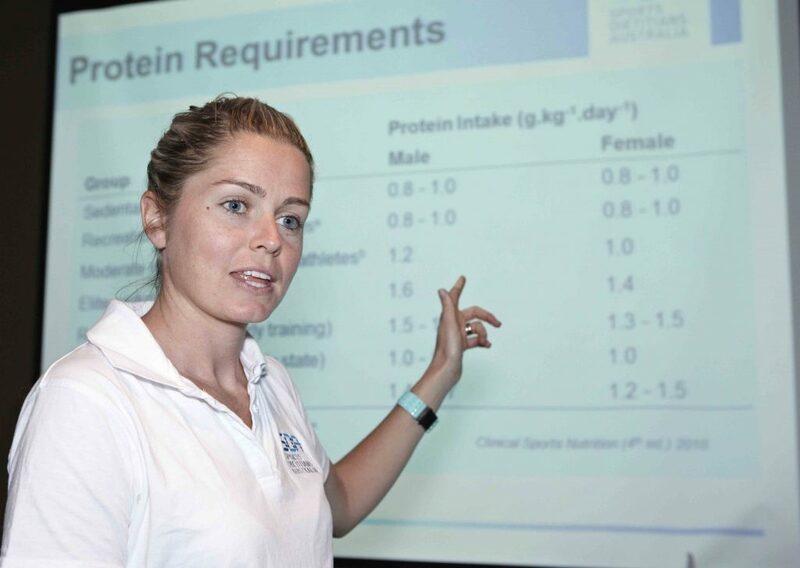 Accredited Sports Dietitians can also provide clubs or organisations with cooking demonstrations, presentations, player assessments, education material, menu development, and sports nutrition workshops. Fill in the form below to request an Accredited Sports Dietitian visit your organisation, school, sporting club or team. Please note: associated costs will be confirmed based on service, duration, and any associated travel expenses.